1916 / USA / 25 min. 1916 / USA / 24 min. A fine programme indeed, and really good to see after tales of the festival having struggled to find sufficient funding to continue. The attention paid to the music accompaniment looks particularly commendable. 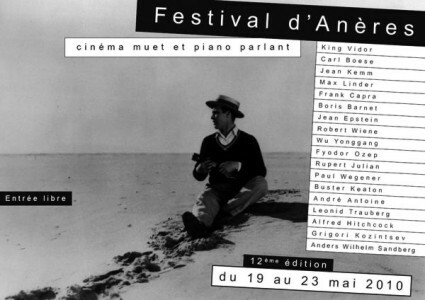 More details can be found on the festival website (in French), and if any Bioscopist is intending to go, or knows someone who is, it would be good hear what the festival is like. Wow, what a lineup of films and not a single musician whose name I recognize. It would be great to hear all this somehow. Time to think about webcasts of silent film festivals and broadening the audience. Good idea. Certainly it would be great if one of the major festivals might be in a position to try out just one such screening, as an experiment. Of course, we did get the premiere of the restored Metropolis broadcast live. I wonder how well it did for Arte, which broadcast it on TV and web?